Is there a memory about long country drives, playing car license plates games or singing endless rounds of 99 bottles? It’s a rite of passage. And if your own children have not yet experienced the wonders of regular family day trips – whether they’re done on Sunday or any other day of the week – it’s time you loaded up the car (or even hopped on a train) and got going. This popular day trip has something for everyone. Once you’re there, there are a number of local attractions that give you access to some iconic native wildlife – so it’s always a favourite to take overseas visitors to. But your tribe will love it too, with the Koala Conservation Centre, the Nobbies Centre for seals and the Penguin Parade for, well, penguins! Every night at sunset, guided tours enable you to learn from the local park ranger as you watch the little penguins waddle out of the water. There are an estimated 32,000 of the creatures – possibly the largest known colony. Churchill Island Heritage Farm is another fantastic place to visit for one of those step-back-in-time experiences kids seem to love. Cowes is the main beach and it’s great for kids, with a jetty to stroll along and a wide strip of sand that’s perfect for sandcastle-construction. If you’re up for more wavy adventure, do your research about the surfing and body boarding beaches on the island but do remember to stay safe – it can get wild out there. For any family with maritime history nuts, they’ll love exploring the Phillip Island Historical Society Museum, too. The distance between Melbourne and Phillip Island is 140 kilometres. Of course, if you try driving it when the motorbike Grand Prix is on, it may take you all day. Depending on the weather, there is a heap to do – from simple beachside fun to rounds of min-golf and koala patting. This 2.2 kilometre stretch of beach on the Mornington Peninsula is well worth the drive. What’s special about it? If you have to ask, you’ve never been. In a world of development, this place is a rare treat of unspoiled nature. Think unsealed roads and native vegetation. If you can plan to stay until the sun starts to sink, it is a thing of beauty. Kids will love the wild feel of it all, as well as the uncrowded sand – perfect for running, cartwheeling and shell-gazing. All this unspoiled beauty? The price you pay is a little extra exertion to trek down the stairs (hard work for very little ones) from your car parking spot. Why pack the kids into the car and drive to Ballarat? Why not? If you stop at Sovereign Hill, you could easily while an entire day away without going into Ballarat itself but if you do choose to explore this goldfields town in detail, you’ll find iconic museums, art galleries, lovely parks and gardens and wildlife parks to get up close and personal with some local fauna. The Eureka Rebellion is an important part of Australian history – and it happened right here. Ballarat is 116 kilometres from Melbourne. Lake Wendouree is worth a look and the Ballarat Botanic Gardens are also lovely for a gentle stroll. If you visit the Black Hill lookout, try to hold off until dusk when you’ll see the lights of this little city twinkling below. At the very peak of Arthurs Seat, the viewing areas provide a beautiful lookout to the stunning land and seascape below. With picnic facilities and BBQs, you can bring your own food and make a day of it, or treat yourself to some nice dining at the Arthurs Hotel. Now that the iconic skyline has been renovated and modernised, it’s a must-do. It’s known as the Arthurs Seat Eagle and once you board the state-of-the-art gondola, you’ll enjoy a breathtaking bird’s-eye view. In Arthurs Seat State Park (this actually covers most of the mountain here), you can take your pick of walking trails to suit the little legs of the ones you’re with. Make sure you make it to Kings Waterfall. At just 75 kilometres south-east of Melbourne, this is an easy drive, (depending on traffic, of course!). Arthurs Seat Eagle is open daily, from 10am. This steam train’s history stretches back more than 100 years and it’s still running on the original 25-kilometre track through the leafy surrounds between Belgrave and Gembrook. 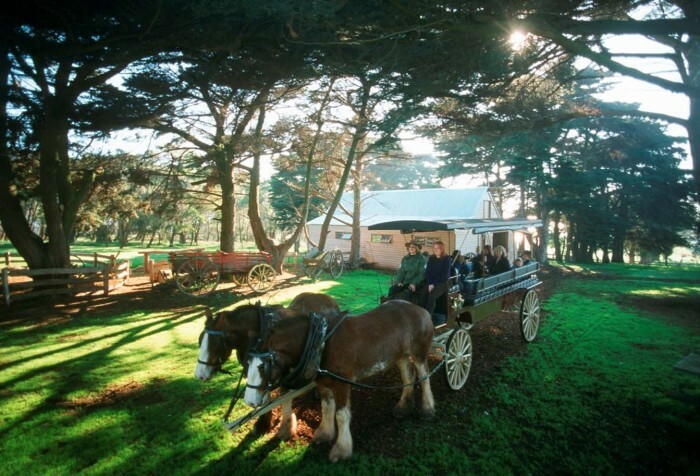 The kids will love the open-sided carriages – the best way to take in the sights and smells of the fern gullies in the Dandenong Ranges. If you’re not heading in the direction of sand and sea, many country driving trips in Victoria invariably lead you to gold-panning territory. Here in Walhalla, on the edge of the Baw Baw Ranges, you can educate the family about how this spot used to be one of the nation’s richest towns. Expect a quiet little mountainside location that is frozen in its small town status, with a bunch of interesting activities to enjoy – including mine tours, train rides, or some 4WD exploring. For a slice of life as it once was, this makes a nice little break from the modern day rush. Walhalla is 184 kilometres from Melbourne. It’s no Disneyland but there is enough fun stuff here (22 rides and attractions, in fact) to keep your family entertained for hours. Bring the bathers – there are dry and wet areas here to frolic in, for a great day out. Or, enjoy the toboggan slide, ride the go-karts, crash and splash on the bumper boats or swing for a hole-in-one at the mini golf. There are also rides especially for smaller ones – including the cup and saucer ride, mini go-karts, a mini ferris wheel and more. 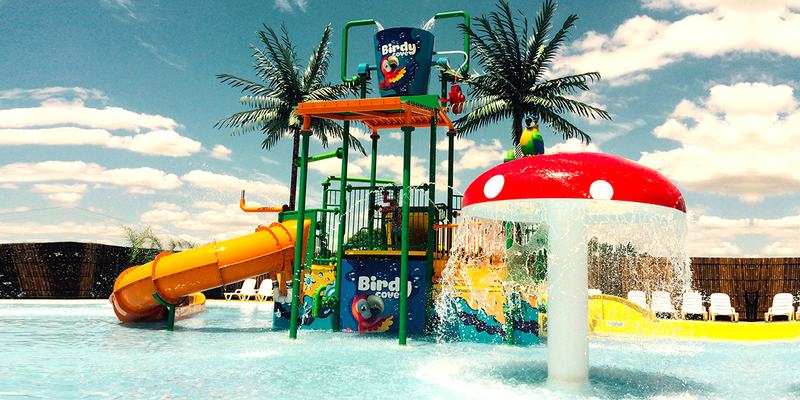 Funfields is 54 kilometres from the Melbourne CBD and has limited – and ever-changing – opening hours.